Ladner-Tsawwassen Kinsmen presented Development Manager Kristin Bibbs and Executive Director Renie D’Aquila with a cheque for $2500 raised from local community events. President Ian Sandham invited Kristin and Renie to attend their monthly evening meeting to give a presentation on REACH programs and services to fellow Kinsmen. 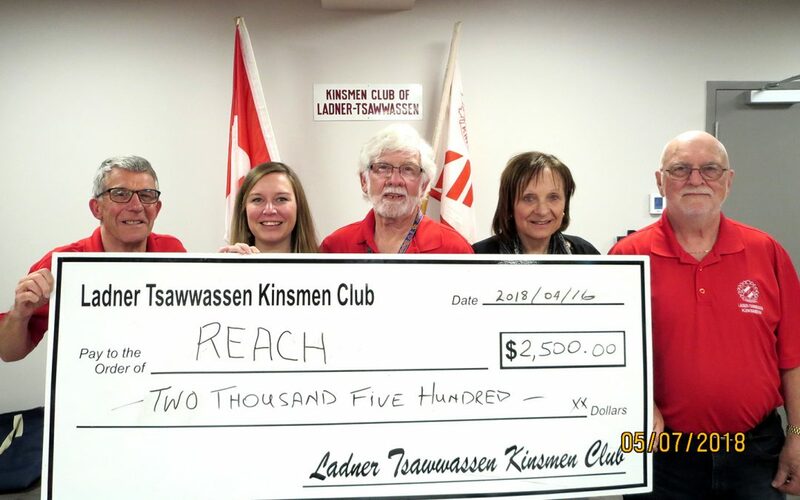 Ladner-Kinsmen Club has a new home in the new REACH Centre for Children on the second floor of the building at 5050 47Ave. in Ladner. Read about the grand opening of the Lois E. Jackson Kinsmen Centre for Children in February 2018 HERE.